Barefoot and social Bowls is available on most days all year round at Noble Park Bowls Club. we will provide the bowls, and the basic bowls coaching you need to have a fun couple of hours in the sun or under lights. Our greens are natural grass, not synthetic, so you can look forward to that lovely soft feeling under your feet. The cost is free which includes all equipment, sausage sizzle, although we call it barefoot bowls, we prefer people wear flat sole shoes whilst playing, thongs are ok! Our surrounds and garden areas are there for your enjoyment, but drinks and food are not permitted on the greens. Lawn bowls is easy to learn and you will not feel like your in the way at our club.We are happy to have you here and even happier to see you having fun playing lawn bowls. There is a barbeque that you can use and our bar will always be available. It doesn’t matter if you are a small or large group, we have facilities available to let you enjoy yourself. For a small of friends or larger groups it is definitely a good idea to book in advance, especially in the summer months. So why not come down, you get some exercise, have a laugh, meet different people and experience something new. We can organise various competitions to make it even more interesting. You are always welcome at Noble Park Bowls Club. For many reasons the youth in our community are not participating in sport outside of the required participation within their school environment. As a community club we feel we can break down some of these barriers to participation by offering an alternative to the more high profiled sports. 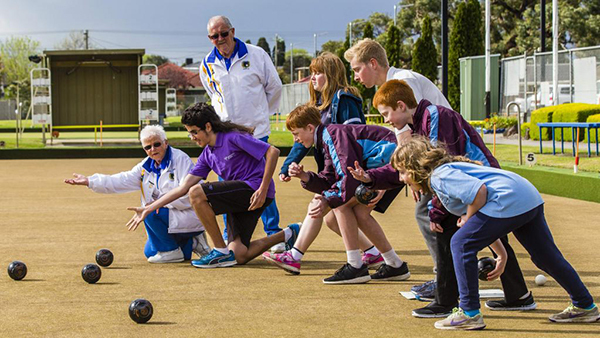 The Noble Park Bowls club has structured a youth program that will allow all children regardless of their ability, gender, age and background the opportunity to be involved not only in a sporting environment but also within a community club. The BOAS program will run for 10 weeks on a Wednesday from 5:30pm -6:30pm at the club. Each week the participants will be professionally coached in the game of bowls. At the completion of the 10-week program each participant will receive a certificate. Throughout the program the participants and their families will be educated on the benefits of being involved in sport and a community club. The hope is to encourage the family unit to take part in the clubs bare foot bowls sessions. The club will also transition the participants into social bowls or competition bowls after the 10 weeks. In early February 2017 the club is looking to run a youth competition where the participants can compete against their peers. • The bowls club is an affiliated member of Club Noble, which has 7 different sporting groups affiliated to them. • There are a lot of reasons why bowls is fun. One is that the whole family – youngest to oldest – can play! • There aren’t many sports where you can get the hang of it in a few seconds. 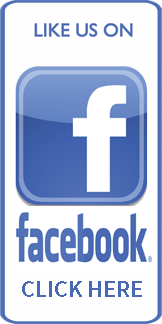 • Bowling clubs are a great social place to meet new friends, or catch up with current ones. • Bowls is for everyone, regardless of age, gender, cultural background or ability. • More than 520 clubs throughout Victoria, so there will be one within easy distance of home or work. • Flat soled shoes and a set of bowls. Our club has bowls to loan, and even without the right shoes, there’s barefoot bowls. • You can play alone, or with a team. For a long time, a short time, socially, against mates or play with the whole family. • It’s a great way to stay active, fit, and healthy and get outdoors. • Heaps of opportunities to represent your state and country. Bowls is a Commonwealth Games sport.